The Patel Conservatory will present the adorable Disney classic The Aristocats KIDS, on February 15-18 in the Straz Center for the Performing Art’s TECO Theater. 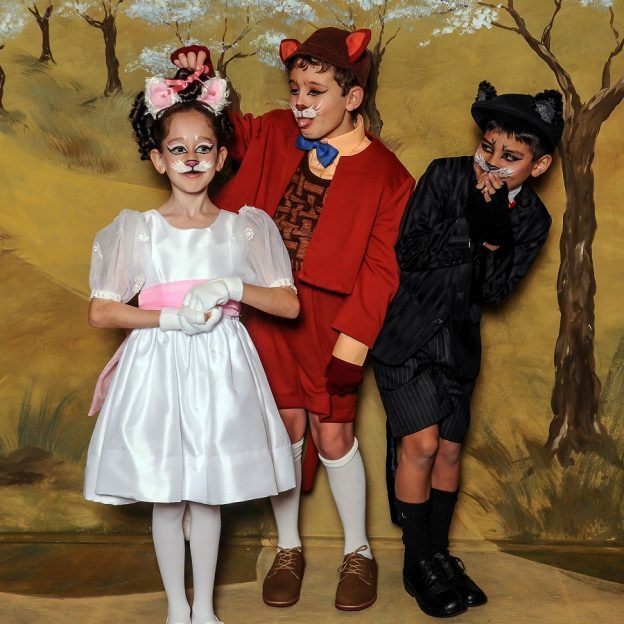 Disney’s The Aristocats KIDS, performed by Patel Conservatory students in grades two through four and based on the beloved Disney film, is a non-stop thrill ride of feline fun, complete with unbelievable twists and turns. Set in the heart of Paris, the show tells the tale of a kind and eccentric millionaires who wills her entire estate to her high-society cat named Duchess, and her three little kittens. Laughs and adventure ensue as the greedy, bumbling butler pulls off the ultimate catnap caper, and so the rough-and-tumble alley cat Thomas O’Malley, and his band of swingin’ jazz cats, must save the day. Disney’s The Aristocats KIDS will be directed by Sarah Berland, with musical direction by Timothy Wilt and choreography by Jane Geddings. Disney’s The Aristocats KIDS will be presented in the TECO Theater Feb. 15-18. Performances are Thursday and Friday at 7 p.m., and Saturday and Sunday at 1 and 4 p.m. Regularly priced tickets start at $15 and may be purchased by calling 813.229.STAR (7827) or 800.955.1045 outside Tampa Bay, in person at the Straz Center Ticket Office or online at www.strazcenter.org. Handling fees will apply. More information about the Patel Conservatory is available by calling 813.222.1040 and at www.patelconservatory.org. The accredited Patel Conservatory offers classes in dance, music and theater for students of all ages and experience levels. Each year, the Patel Conservatory and the Straz Center’s arts education programs enrich the lives of more than 70,000 students in our classrooms, on our stages and through the community. eatured are, left to right, Arielle Black-Diamond, Antony Simonetti and Angel Vasquez.